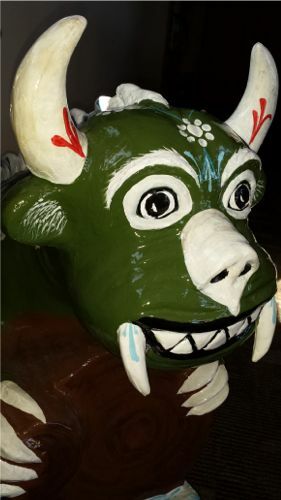 This is the the fearsome Hodag, resident of Rhinelander in the Beautiful Northwoods of Wisconsin (note: beautiful and Northwoods must be said together; these words are inseparable when referring to this part of Wisconsin). 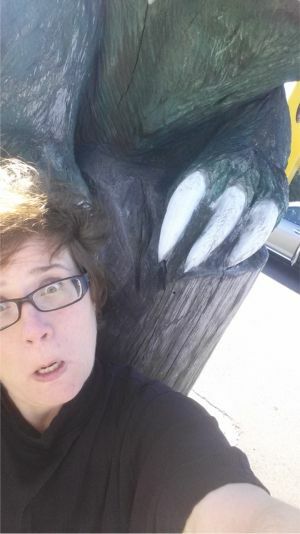 I would love to take a picture of every Hodag in town, a daunting task given the sheer number of these creatures. The magnitude of these beasts in their multitudinousness demands documented. These are the Hodags at my realtor’s office. 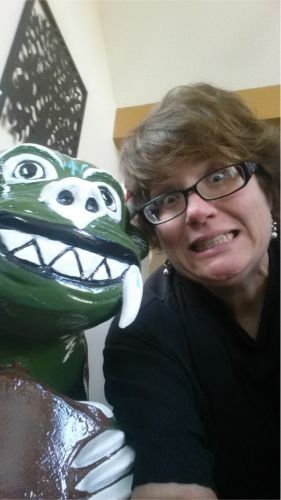 Outside the realtor’s office – such a scary monster. 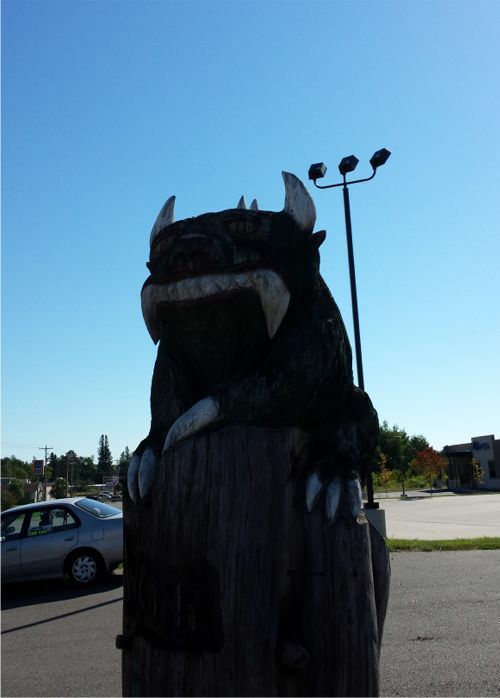 A wooden Hodag – outside the realtor’s office.